In today’s session, we discussed “The Man in the Passage”, a short detective story by British author G.K. Chesterton. The mystery is solved by one of Chesterton’s memorable characters, Father Brown, a Catholic priest. 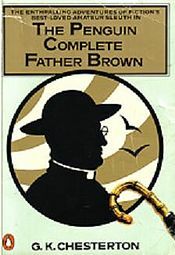 Father Brown has taken his place in the pantheon of famous detectives, alongside Sherlock Holmes, Hercule Poirot and Miss Marple. Chesterton was born a generation before C.S. Lewis. They were both Christians and both wrote about Christianity for the general public. They also both wrote fiction which helped to make them nationally, then internationally, famous. In today’s session, I mentioned something about the “rules of detective stories”. I was referring to the “Twenty Rules for Writing Detective Stories” (1928), by S.S. Van Dine, the pen-name of Willard Huntington Wright, an American journalist and fiction writer. If any of you can find a Japanese translation of this online, please let me know. Do you think Chesterton obeyed all these rules in “The Man in the Passage”? 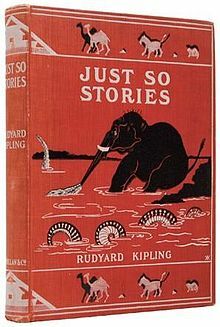 For February’s session, we will read a shorty story for children written by Rudyard Kipling: “How the Elephant Got its Trunk” (also called “Elephant’s Child”) from the Just-So stories. Kipling was the first English-language author to win the Nobel Prize for literature, in 1907 (he was 41 years old). He was a contemporary of Mark Twain, and friend of Sir Arthur Conan Doyle and Henry James.